Like many of us, I stick small tools in holes bored in a block of wood. However, this doesn't work well with certain tools. For instance, it's hard to select the right jeweler screwdriver if you can't see the tips. So I made this holder out of some well-aged boxwood I had lying around. The turned recess exposes the tips of the tools for selection yet the whole block can be picked up as a unit without having tools fall out. for machining thin disk-like parts. The slots allow it to slip over the jaws and the spacers (two sets shown) hold it (and the part) a fixed distance from the chuck face with good support for machining. 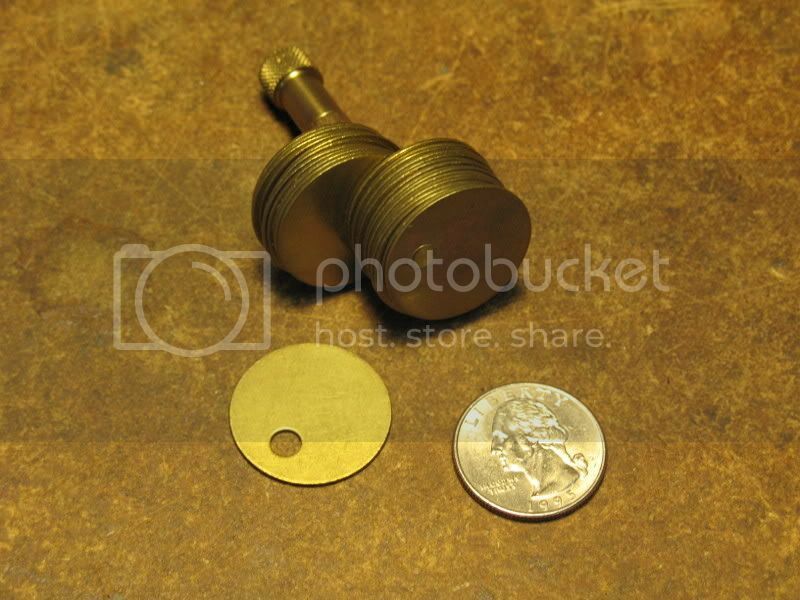 I'm not sure where I acquired a whole bagful of brass key disks but, never needing so many, I took some of them and made this adjustable spacer by stringing them on a screw which is soldered to the bottommost disk. A finger nut tensions the disks on the screw. In use, one simply swings aside the unneeded portion of the spacer to provide the right height stack under the clamp. 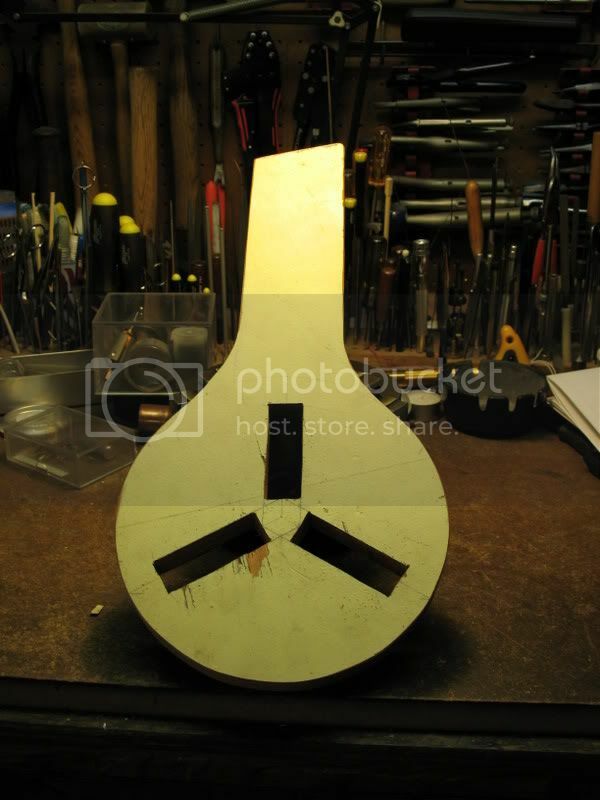 Finally, if your chuck is hard to remove, make yourself a "banjo" wrench from 3/4" plywood. The slots fit over the chuck jaws and distribute the force on all three jaws - much superior in my mind to using a crescent wrench on one jaw or slamming a jaw into a block of wood on the ways. 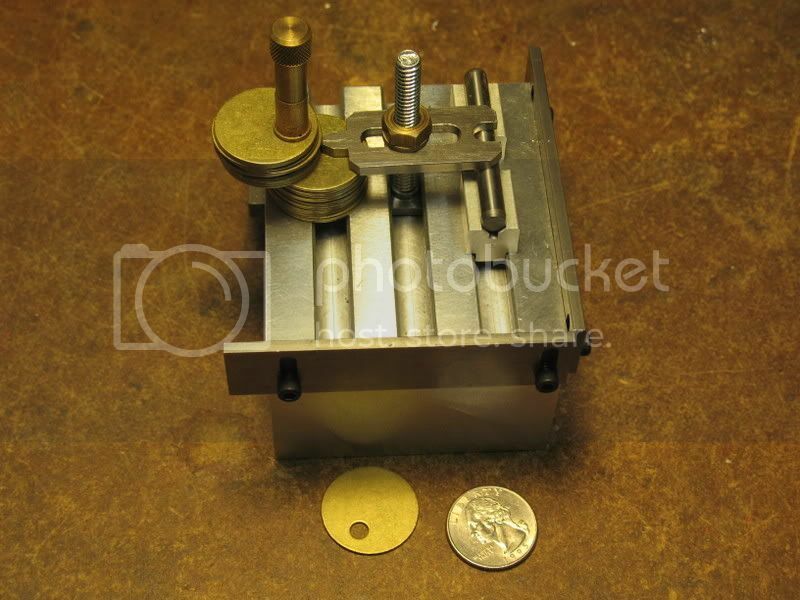 I especially like the simplicity of the brass disk spacer gadget! I guess i should also do something about my screwdriver situation! A plastic tub seems positively archaic next to your fancy Boxwood holder! Very nice. How do the spacers get attached to the spider? There are holes in the spider. 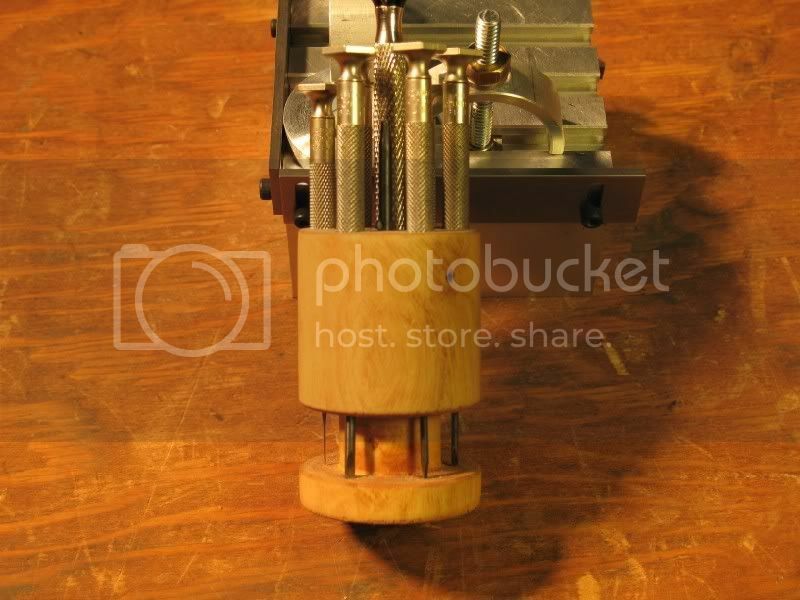 Each spacer has a matching tenon that fits into the hole. 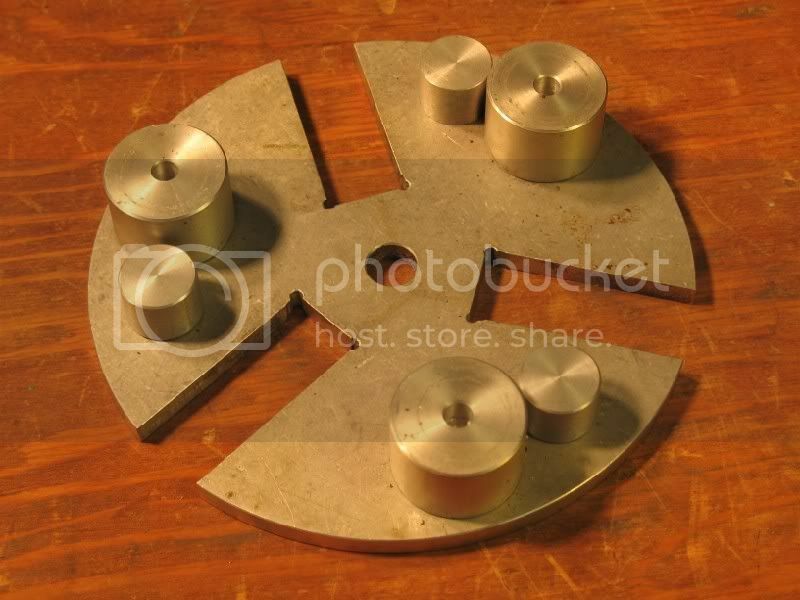 Thus, once the workpiece is mounted, the spacers are completely trapped and can't fly out. work on it. Used to carry a number of them in my pocket for that, along with a box of Master locks in my tool box. I like your spider, too. Very useful tool.